Low Right Back Pain is the same as pain on the other side of the low back. 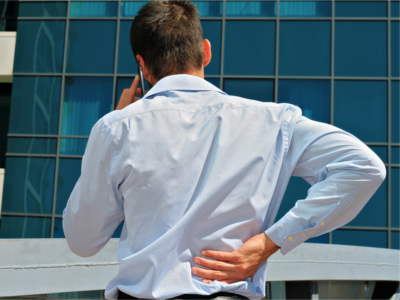 It too is caused by abnormally functioning bones, soft tissues and nerves down in the low back. Pain can originate from many of the separate and specific spinal joints including facet joints and discs, however the treatment of these is similar. As mentioned above, the chiropractor also pay special attention to whether the pain on the low right back is caused by the low back vertebrae (and surrounding tissues) and/or the right sacroiliac joint. Many times low right back pain can be caused by malfunction of the right sacroiliac joint. Treatment for this cause is also done either by hand adjustment or with special electronic instrument.